Vehicle or car accidents are unfortunate happenings caused by the neglect of one or more drivers. It may have disastrous, fatal and life changing consequences for the sufferer’s. There are traffic laws and drivers connected to the accident should follow them. Nobody is above the law and breaking them is not an option. It is a wise decision to take further steps as per law during hit and run cases. Prior alertness is even better to avoid facing such situations white driving on the road. However the road being a public property, it’s not possible to drive along and not come across vehicles. Whenever a car accident takes place, the driver or drivers responsible or involved need to follow some traffic laws after such incident. In most cases, the steps to be taken are based on factors like if the accident caused property damages, injuries, death etc. Damaging a parked car, causing injuries to a pedestrian, passenger or another driver are taken into consideration. If the accident resulted in the death of a passenger, pedestrian or another driver is also considered in such cases. According to traffic laws in state, the driver engaged in car accident should immediately stop the vehicle when it’s safe and secure to do so. The driver needs to exchange identification along with relevant contact information with another driver directly related to this incident. Whenever a driver runs into a vehicle which is unattended or a stationed property, as per law in majority of states, the person should make substantial effort to recognize the property owner. They should be notified and alerted as early as possible regarding the happenings. Delaying to do so won’t help the cause in a car accident case. The best possible thing would be informing them everything about the happening in clear words. In case the damage is suffered by a car parked in a space, noting down this vehicle’s license no would be a good step. 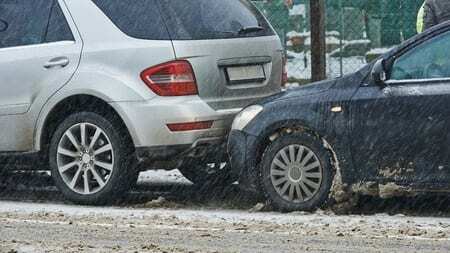 Similarly after a car accident, the driver responsible can leave a written note at the real scene of car accident. This note should also have driver’s identification details in case a property suffers damage. There is no point in fleeing the accident scene for it elevates confusion and panic levels for the driver responsible. It is better to cooperate with the sufferer and follow rules to avoid severe penalties, fines and punishments. In case any accident causes injuries, drivers should be responsible enough to take proper steps for helping the injured person. It is one of their legal duties to offer assistance by contacting immediate medical services. They should report such unfortunate accidents to a nearly law enforcement office. It helps in dealing with the case in a proper way for both the law enforcement officials and injured persons. Any vehicle driver who is unable to perform his or her legal duty post their involvement in car accident, is likely to get at least single ticket. With some case, as soon as an accident leads to death or injury, the driver fleeing the scene irresponsibly may be booked under severe criminal charges.